Making disciples of all nations. What can we learn about disciple making from a major tech investor and beekeepers? E52 – Which sin would you rather commit? 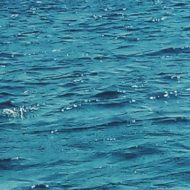 Posted byJames April 2, 2019 April 1, 2019 Posted inDeep Water Podcast, Disciple-makingLeave a comment on E52 – Which sin would you rather commit? We are having some issues with our old website theme or “look.” Please bear with us as we experiment with some new ones. Luke Five – Following Jesus to deep waters, Proudly powered by WordPress.